Throughout the years, Dallas has worked extensively in the development of athletes at all levels of diving, from Learn-to-Dive to international medallists. As a former competitive athlete with the Pan Am Diving Club, Dallas has a true understanding and appreciation for high performance sport. She’s gained experience mentoring and training many instructors and coaches locally and nationally, and has been involved with developing officials, hosting championships and structuring club systems. Currently, Dallas is the Head Coach of the Manitoba Regional Diving Centre through the Canadian Sport Centre Manitoba as well as one of Canada’s Senior National Team Coaches. Her coaching career began at age 18, when Dallas and a fellow coach at the Pan Am Diving Club became the organization’s interim co-head coaches, managing a full team of divers. In September of 2000 she enrolled in the National Coaching Institute Manitoba, where she completed the two-year program, earning the Human Resources Internship Scholarship. 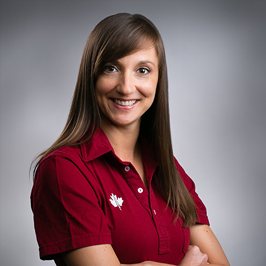 This led her to her full-time position as assistant head coach at the Pan Am Diving Club. Dallas works to ensure that all the athletes and individuals she works with are treated fairly and equally. She provides constant encouragement to athletes so that they are always pushing to their full capacity and striving toward challenging goals. Her personal relationship with sport has been a major influencer in her life, instilling confidence, determination and a work ethic that is contagious to those around her.